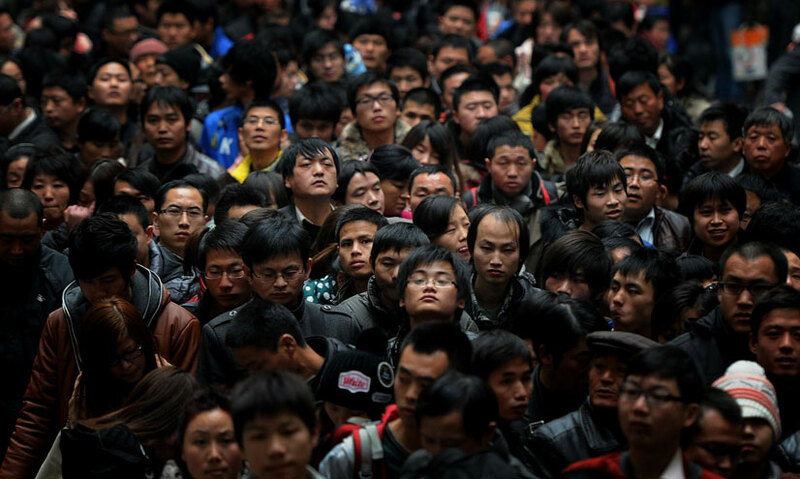 An influx of millions of immigrants from rural regions has raised Shanghai's population to over 18 million. The most densely populated city in the world, Shanghai's infrastructure is under significant strain. Congestion has worsened in Shanghai, contributing to air pollution caused by the city's 18 power stations. Despite a construction boom, affordable housing is scarce in Shanghai, as rural migrants move into the city to work undesirable construction and factory jobs. These glittering neon signs are beacons promising a better life, creating one of the largest human migrations of modern times. Millions of farmers in rural areas of China are leaving their homes for Shanghai's bright lights.